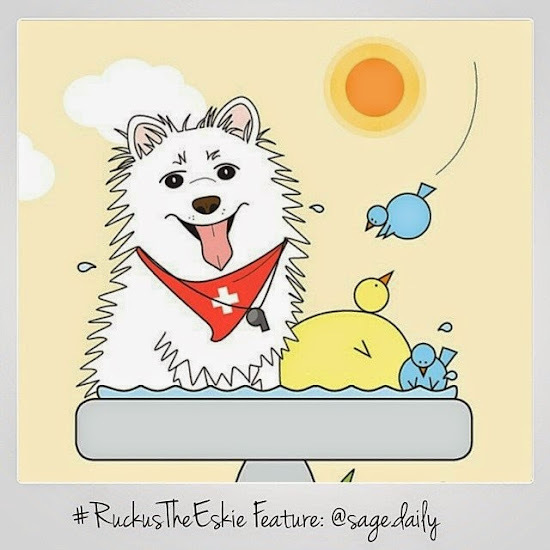 Ruckus the Eskie loves fan art. Thank you Instagram friend, @sage.daily for being so creative! Thanks so much Ruckus! We have signed up for the Sage Daily! What an awesome pic of you!! Great Art!! Happy Thoughtless Thursday and thank you once again for hosting!! Absolutely love it. Nice one and it made us smile. Have a tremendous Thursday. That is amazing! You are even more handsome in the sketch....if that is possible...I love the little red cross on the bandana! That's a very cool art design. Your friends sure are talented Ruckus. Oh wow!!!! That is just SO cool!!! That is adorable! We really like Sage Daily's pic of you. That is adorable and so cool!